RSSC Southall & SWAT Football Club for 5-14 year olds! 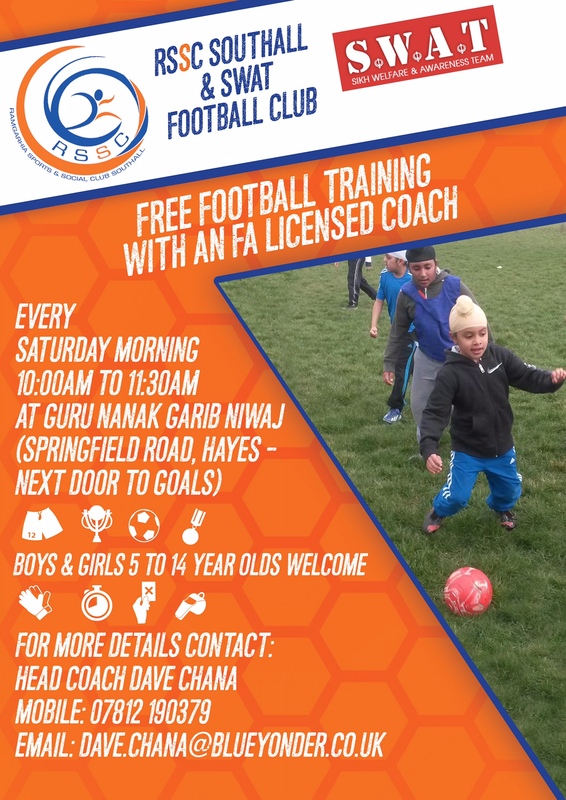 Don’t miss out on your chance to get free football training with an FA Licensed Coach!!! 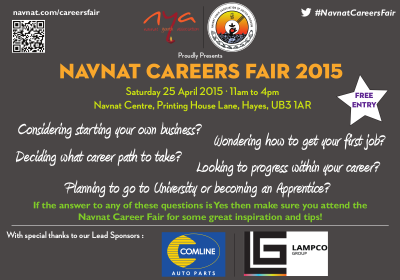 Navnat Vanik Association is pleased to announce that it will be holding a Careers Fair on Saturday 25 April 2015 11am to 4pm at Navnat Centre, Printing House Lane, Hayes, UB3 1AR. The event is aimed at secondary school students who are in the process of considering career options and university applications, university students looking for guidance on entering the job market for the first time or individuals who are thinking of changing career paths. Information Stalls across a wide range of career fields providing an opportunity to meet individuals at various stages in that field. An Entrepreneurs area providing an opportunity to meet successful entrepreneurs and seek advice from them . Using social networks for jobs and career progression. The event is completely free to attend. You can register for the event at www.navnat.com/careersfair. Pre-registration is strongly advised due to the expected popularity of the event. Spaces for the various talks are limited and will be allocated on a first come first serve basis on the day .Details of the timings of the talks will be available at www.navnat.com/careersfair nearer the date of the event.